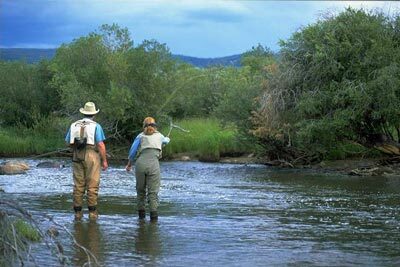 Laramie River Dude Ranch offers terrific fly fishing for wild brown trout on roughly two miles of private river. Your whole family can enjoy the adventures they love - fishing, horseback riding, lots of outdoor activities, hiking, and a great kids' program. 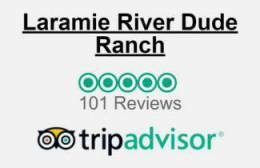 Guests have private access to two miles of the Laramie River. Fed by creeks from the high country, the river is the perfect depth for wading. Its pools provide great fishing throughout the season. In addition to the river, we have over a mile of private fishing on LaGarde Creek. Lake fishing at the public Hohnholz Lakes is nearby. 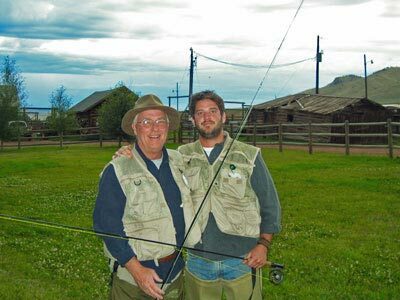 Once a week professional guides offer free fly fishing instruction. You'll learn the ins and outs of rods, reels, and flies. Casting techniques are taught on the lawn and then everyone heads for the river. 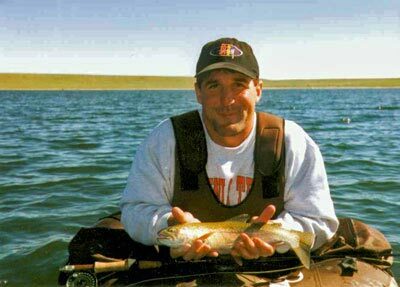 Guides can be hired for private off ranch trips to the North Platte, high alpine lakes, and walleye adventures. You have successfully 'de-stressed' us and that is quite an achievement. We hope to return with a few more potential cowboys and fly fishermen in the near future! 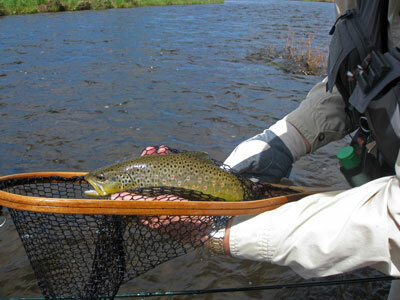 Experienced fishermen enjoy matching wits with wild brown trout. We encourage catch and release, but if you clean it we'll cook it for you. Anglers can explore up or down river and always be within a mile of the lodge, a bottomless cookie jar, and a glass of lemonade. LaGarde Creek flows out of the Rawah Wilderness and through the ranch. The creek experiences very little pressure as its entire length is fished by just a few fishermen a year. Its flowing sections and many beaver ponds offer very interesting fishing. Bring your camera, because the views in the valley are breathtaking. 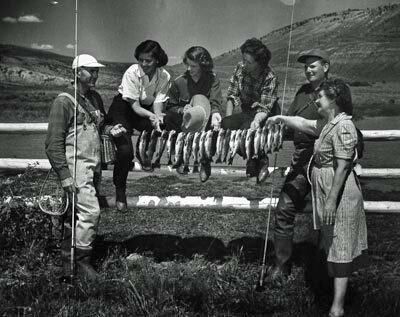 The nearby Hohnholz Lakes provide the opportunity to fish for Cutthroat, Rainbow, Brown, and Cutbow. 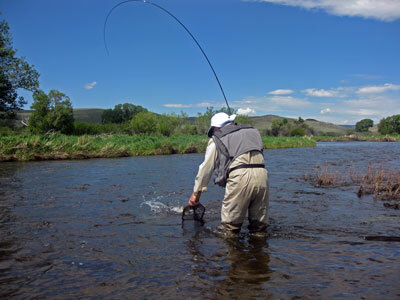 During the month of June our streams and rivers swell and the fishing becomes challenging. Fishing at the Hohnholz Lakes is unaffected. 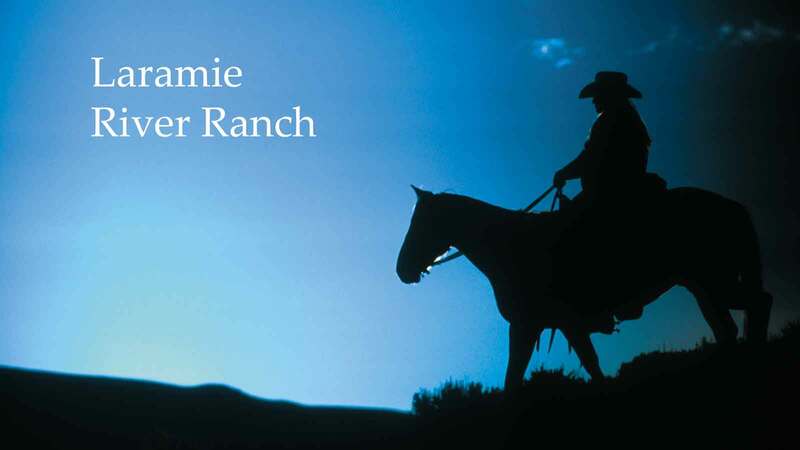 Ranch rods and supplies are available to guests free of charge.